NADA Guides Available From Within Frazer! 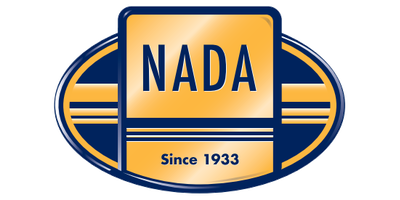 $39 gets you complete access to all NADA Used Car Guide information from within the Frazer software (no app access). National Appraisal Guides, Inc. is the largest publisher of vehicle pricing, information and tools for new and used cars, classic cars, motorcycles/powersports, boats, recreation vehicles (RVs) and manufactured homes. Whether your needs are for buying, selling, trading, managing or appraising, National Appraisal Guides is committed to providing the most comprehensive and market-reflective vehicle pricing and information available today. Call Frazer at 888-963-5369 today to get started, or to see a live demo with your data. Want More Info About NADA?